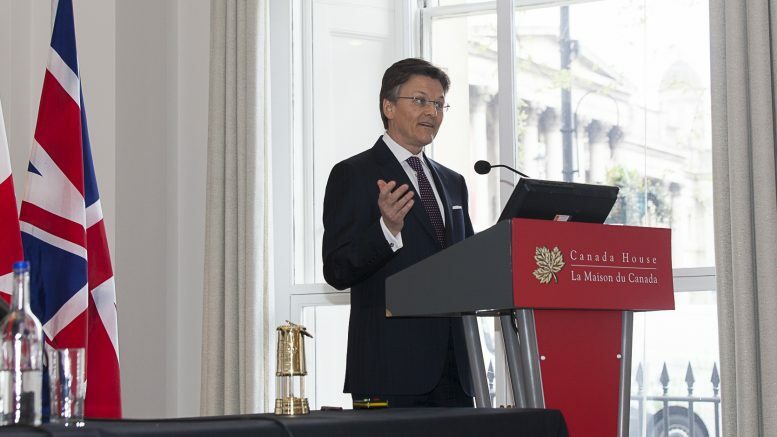 Barrick Gold president Kelvin Dushnisky at the Canadian Mining Symposium at Canada House in London in April 2018. Photo by Martina Lang. Barrick Gold president Kelvin Dushnisky is recorded live at the Canadian Mining Symposium at Canada House in London as he accepts a Lifetime Achievement Award on behalf of Barrick founder Peter Munk and speaks of Munk’s legacy. 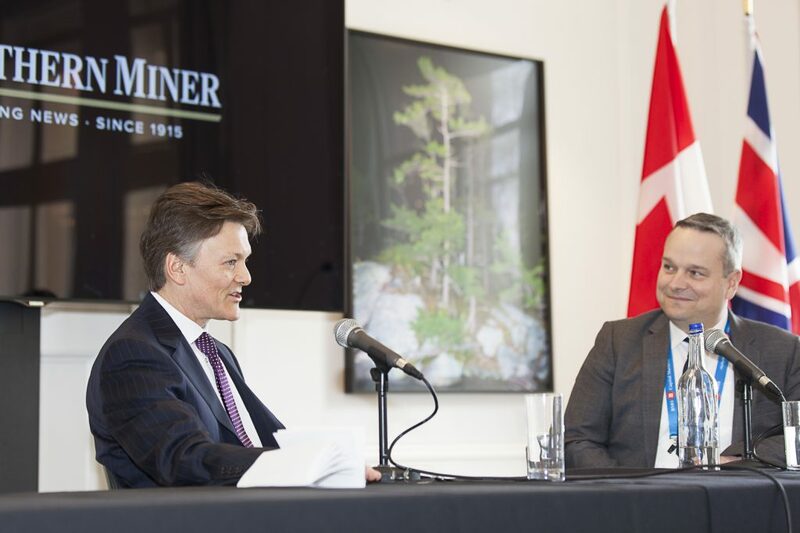 Barrick Gold president Kelvin Dushnisky (left) and Canaccord Genuity mining analyst Carey MacRury at the Canadian Mining Symposium at Canada House in London in April 2018. Photo by Martina Lang. Then he is interviewed by Canaccord Genuity mining analyst Carey MacRury on the topics of Barrick’s slimming down over the past four years and what the future holds for Canada’s largest gold miner. Be the first to comment on "The Northern Miner Podcast – episode 103: Kelvin Dushnisky on Peter Munk’s legacy and Barrick’s future"